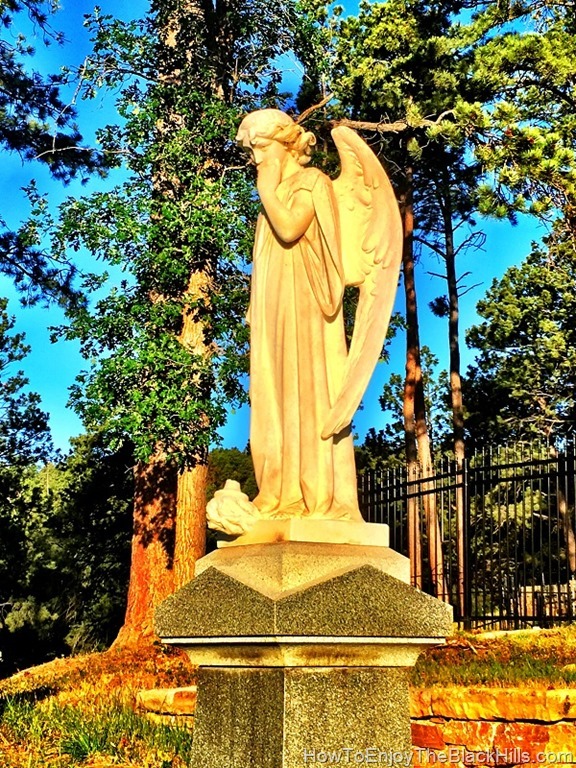 Deadwood’s other historic cemetery may be lesser know, but is still worth a visit for history buffs. St. Ambrose Cemetery is located on Burnham Hill in Deadwood. The cemetery was established in the early 1880’s as the cemetery serving the Catholic parish. It was transferred to the city in 2003. There have be numerous improvements and restoration efforts in recent years. 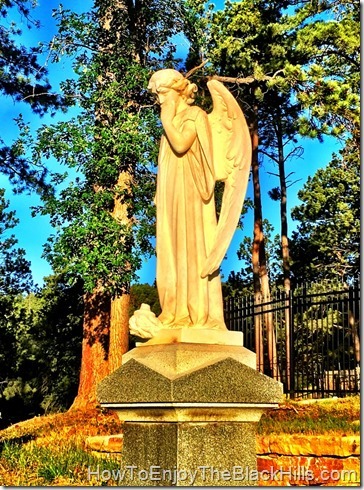 The angel in the picture watches over the grave of Oscar Stanley Rewman. He died July 6th 1891 at the age of two. It is pretty easy to find. I usually park in the lot at the lower end of Main Street. Cross the four lane street and walk up Burnham Ave, hang a left on Pleasant Street until get to the gate. If you are looking to checkout more history in the Deadwood area consider visiting Mount Moriah, Friendship Tower, Preacher Smith Monument, Seth and Martha Bullock’s grave and the museums in Deadwood.